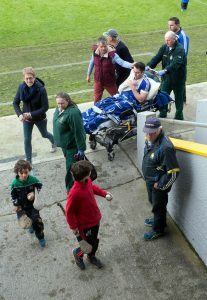 Cratloes dual star Conor McGrath is taken from Cusack Park Ennis by stretcher after his side lost out to Clonlara in the Clare County Championship Hurling semi final today. Pic Arthur Ellis. An all round better balanced Clonlara booked a place in the Clare senior hurling final for the second year in a row when they accounted for their South Clare neighbours Cratloe at Cusack Park this Sunday afternoon. 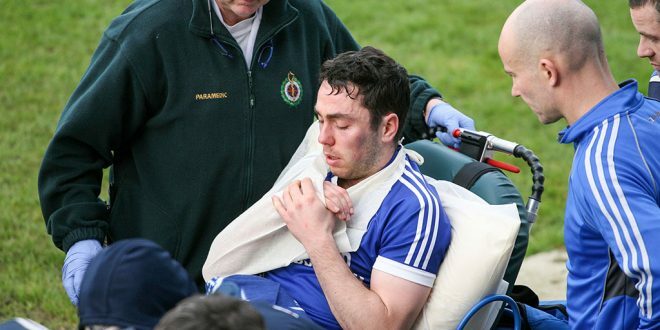 Whether or not the end round would have been different had Cratloe star Conor McGrath not suffered a shoulder injury which ended his involvement in the match with over ten minutes remaining is a matter of speculation. With 1-7 to his credit at the time, he was a big threat to Clonlara but with just over ten minutes remaining he was forced out of the tie and was clearly in pain as he received attention on the sideline. The sides were level three times in the opening eleven minutes before the winners opened a three point gap by the end of the first quarter and they held this lead to the break when the score was o-12 to 0-9. 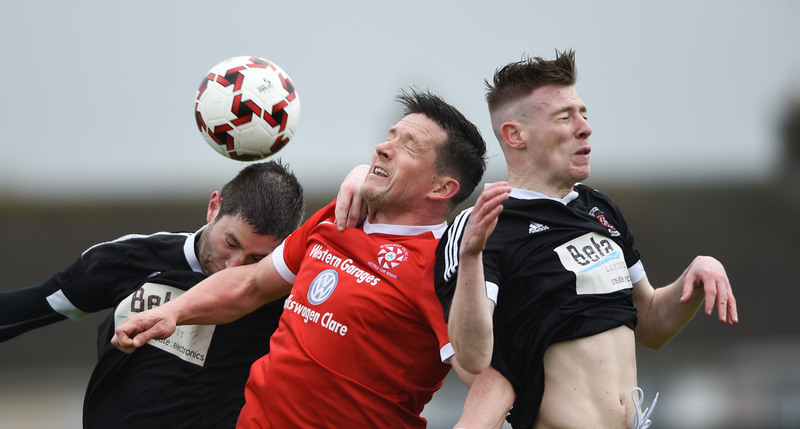 Points were exchanged four times in the opening ten minutes of the second half before Clonlara struck a major blow when Micheal O’Loughlin goaled to give them a six point lead. They were then reduced to fourteen men when James Hastings picked up his second yellow card and then they were hit by a Cratloe goal which came from Conor McGrath. The Clare star almost had another major moments later but Domhnaill O’Donovan cleared the danger. Cratloe continued to pile on the pressure but then lost McGrath to the afore mentioned injury. They had the margin down to the minimum with five minutes remaining but that was as close as it got and Clonlara closed out the game with a Cathal O’Connell point. Cratloe’s Conor McGrath is taken from Cusack Park by stretcher after his side lost out to Clonlara in the Clare County Championship Hurling semi final today. Pic Arthur Ellis. In the final Clonlara will play Ballyea. Meanwhile, Broadford, beaten in the intermediate final last year, are back in the decider after they scored a 4-14 to 2-15 win over Tubber in the opening game at Cusack Park. Sixmilebridge will play Bodyke in the junior A hurling final thanks to a three point win, 1-15 to 2-9 over Kilmaley while Crusheen saved their junior A status for next season with an easy win over St. Josephs Doora-Barefield.